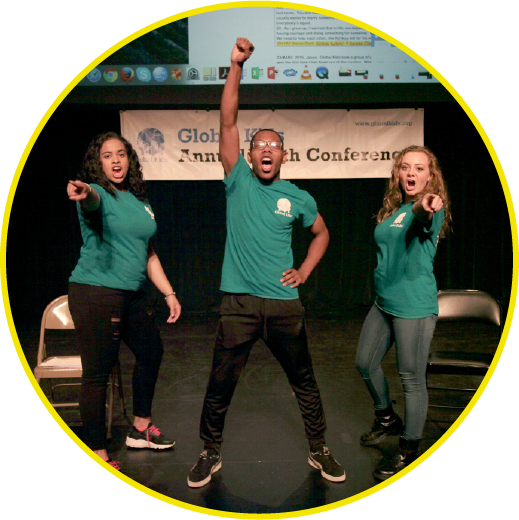 Global Kids develops youth leaders through dynamic global education and leadership development programs. We offer a variety of school day and afterschool programs at school sites and at our headquarters, as well as enriching summer learning programs. We work primarily with middle school and high school youth in underserved communities. Award-winning educator Carole Artigiani founded Global Kids in 1989 and incorporated it in 1991. She served as its Executive Director until August 2010 when Evie Hantzopoulos, Global Kids’ Deputy Director and Director of Programs for 14 years, was appointed the organization’s Executive Director. Global Kids has expanded significantly; growing its programming to more than 20 schools in New York City and successfully launching in Washington, DC in 2010, where we now serve hundreds of District youth. 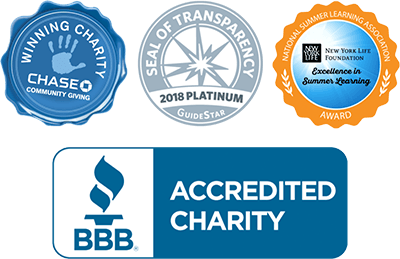 Global Kids has reached more than 200,000 students and educators since our inception, receiving national recognition for exemplary practices in international education, digital media programming, experiential learning, and youth development. Our work has earned us a place as one of Washington’s Best Small Charities in the 2014 and 2017 issues of the Catalogue for Philanthropy. In 2011, we were selected for an Excellence Award by the National Summer Learning Association and were a 2017 recipient of the NEA Foundation’s highest honor: The First National Bank of Omaha Award for Outstanding Service to Public Education.